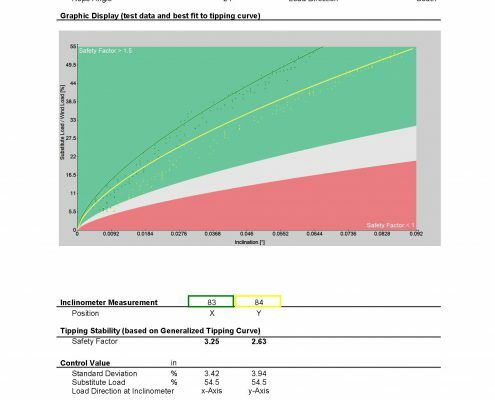 PiCUS: TreeQinetic Tree Pulling Assessments. There are two major types of whole-tree failure: uprooting and breaking. 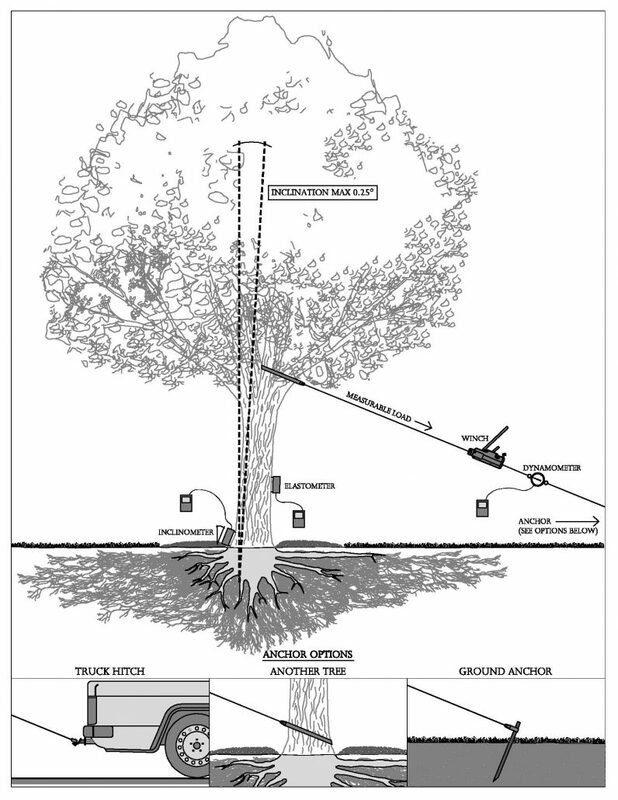 The TreeQinetic system is designed to collect data during static tree pulling tests that can be used to calculate uprooting and breaking safety margins. 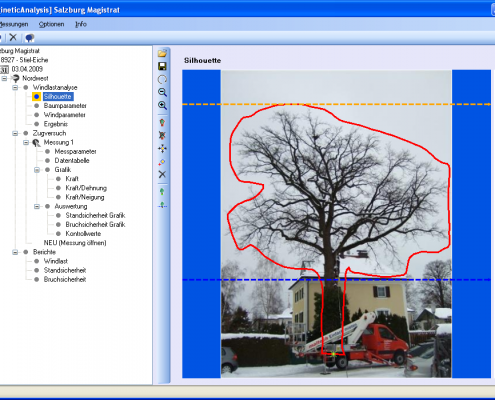 TreeQinetic Tree Pulling Tests utilize structural engineering based “Statics Integrating Methods” (SIM) developed by WESSOLLY and SINN at the University of Stuttgart. 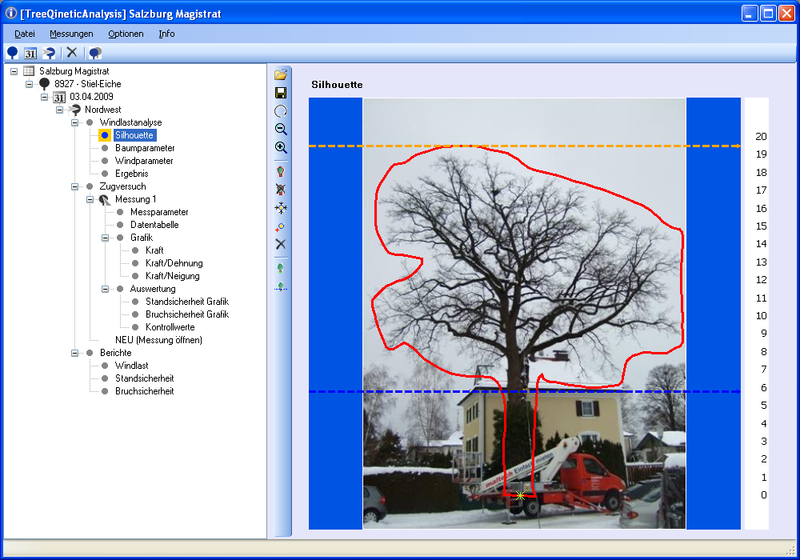 These tests allow for non-invasive, precision assessments of a tree´s breaking and uprooting safety. 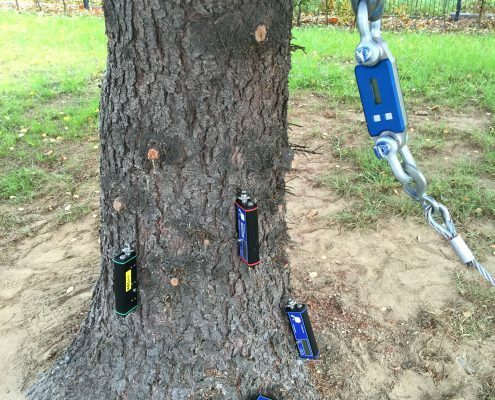 These tree safety assessments are carried out using the elasto-inclino method in which a tree is subjected to wind substituting loads using a winch and a steel cable. 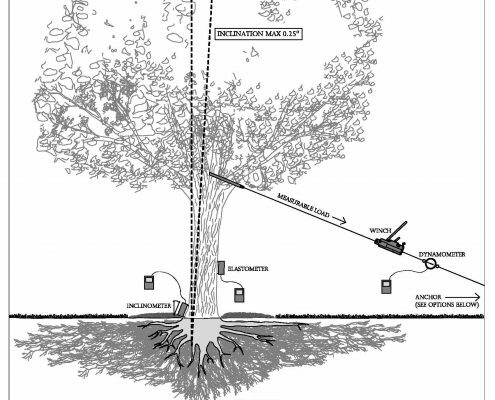 The reactions of the tree under a defined load are measured with a high resolution elastometer and inclinometer. The measurements gathered while the tree is subjected to a simulated wind load are used to calculate how the tree would react under storm loading conditions. In this way, uprooting and breaking safety margins can be calculated. In all safety calculations using SIM, three major components are considered: wind-load, material properties of green wood and the surface/geometry of the load bearing structure (trunk diameter, extent of hollowness). 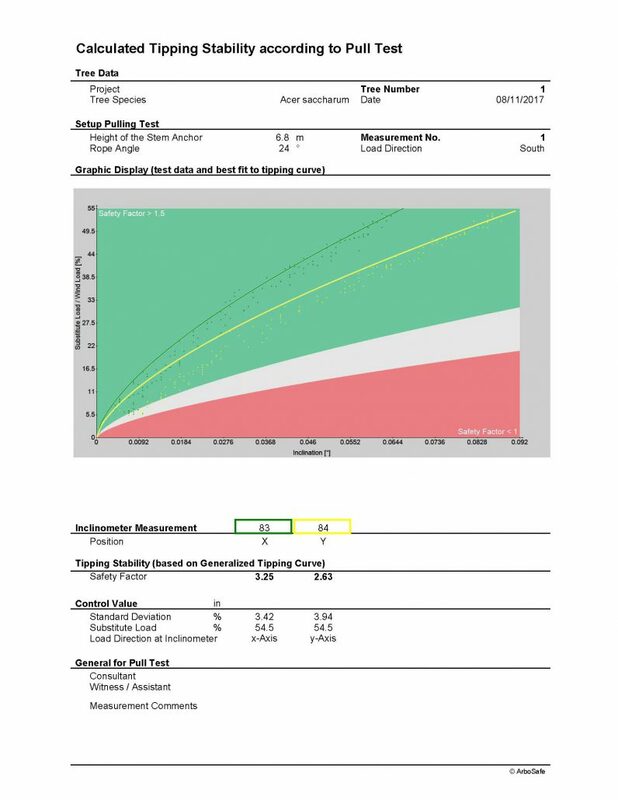 Tree inspectors and practitioners may also use a more simplified variation, the SIA method (statics integrating assessment), which also follows international engineering conventions and allows for quick on-site assessments at little cost. One Forcemeter that measures the pulling force. At least one Elastometer that measures changes in length of the marginal fibres at a resolution of 1/1000th of a millimetre. At least one Inclinometer that measures the inclination of the tree at a resolution of 1/100th of a degree. 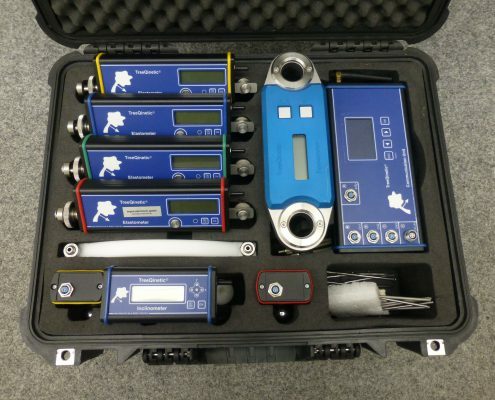 All of the TreeQinetic instruments communicate with each other wirelessly and the recorded data is sent directly to a PC. The analysis program will subsequently calculate uprooting and breaking safeties.